It's the proper way to say goodbye to a living legend. The current-gen Audi RS6 Avant has fueled the imagination of many tuners as we’ve seen some exciting products such as the 725-horsepower RS6+ Avant Performance Nogaro Edition and the bonkers 1,018-hp RS6-E hybrid. But as some believe nothing beats the original, we’re sure Audi fans will love this video of what will go down in history as the ultimate incarnation of the C7 generation. Even though it has been around since 2013 (Performance model launched late 2015) and is showing its age on the inside, the RS6 is still a sight to behold and a force to be reckoned with. The supreme family hauler from Ingolstadt wears an Ascari Blue coat of paint and sounds lovely courtesy of an optional Audi Sport Akrapovic exhaust system while climbing the Austrian Alps. You might be wondering why the video says the car has 612 horsepower instead of the stock 605 hp, but the extra oomph comes from the aforementioned exhaust, which also adds 15 Newton-meters (11 pound-feet) of torque. At the same time, it weighs 8.1 kilograms (nearly 18 pounds) less than the stock exhaust, so it’s a win-win situation. 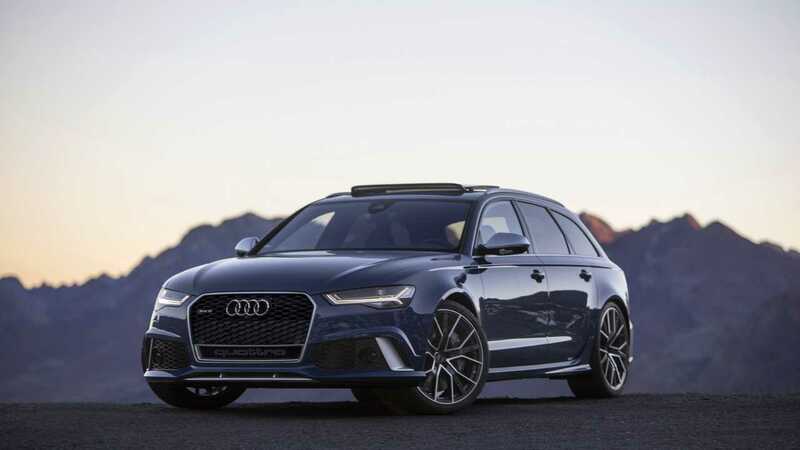 Even though we’re technically looking at an aging car in terms of hardware compared to the Mercedes-AMG E63 S Estate, for example, the Audi RS6 Avant Performance is no slouch. Using a data logger to record the wagon’s capabilities, it needed just 3.36 seconds to reach 62 mph (100 kph). That makes it a little bit quicker than the standard R8 coupe while still offering plenty of space like you’d come to expect from a midsize wagon. The next iteration of the RS6 Avant is expected to debut in September 2019 at the Frankfurt Motor Show with just about the same amount of horsepower, but more torque and less weight. That means it’s going to be even faster to the delight of whatever’s left of the wagon-loving crowd given today’s SUV-obsessed automotive world.